How did you come up with the title? For Queen it’s sort of a play on words, a double meaning. Generally dreams are considered positive, intangible things; yet Cass, the main character, discovers that not only are her dreams literal, but they may not be so positive. Her obsession with her dreams becomes her undoing and triggers many truth-reveals for her, her fiancé and their team. Is there a message in the story that you want your readers to grasp? Yes and no. Queen is multi-layered, so some will take more away than others. Some will see it as just entertainment, while some will find themes and symbolism. As long as my readers enjoyed it, whether or not they decide to read deeper into it or what they decide to find is entirely up to them. Can we expect more books from you in the future? Absolutely! No matter what happens, good or bad, I can’t stop writing anyway, so I might as well publish my work. Have you included a lot of your life experiences, even friends, in the plot? Yes, but in a subtle way. I’ve done a lot of traveling, was enlisted in the Army, am in my 20th year working as a paramedic, tried numerous activities such as scuba diving and snow skiing, and love chatting with all different kinds of people. I do incorporate my life experiences into everything I write by taking bits and pieces from each source and mashing them together. Where do you get the ideas for your stories? Most of my ideas come from my dreams, but I like to read current events and really pay attention to the normal world. I dump a lot of information into my head, then it all marinates until something original and unique percolates to the surface. How did you develop your plot and your characters? Well, I’m a total pantser! I used to create outlines, but realized they stifle me. I start with an idea or premise, sometimes just a very simple one, and I’m off. I develop everything on the fly, only stopping to research as needed or research a bit beforehand if the scene starts the story. I generally write from start to finish chronologically, but if I have an idea for specific scenes out of order then I’ll write that scene and save it for later. My brain is constantly working. Currently, I’m writing on two main stories, but I actually have about six in various stages. My best scenes and dialogue happen while I’m panting my way through. That’s when I’m deep in a character’s POV. At that time, I am that character. It’s very surreal sometimes. This sounds scary, working without a net, but you can always go back and fix things as needed once the first draft is complete. That’s what editing is for. What books have most influenced you in life? Interesting question! Off the top of my head, I’d say Dumas’ The Three Musketeers and Hambly’s Darwath Trilogy. Both have all the great fantasy and swashbuckling elements that I crave! While I still love science fiction a bit more than pure fantasy, I grew up on Sunday afternoon swashbucklers. Who is your publisher? I am self-published under my imprint Crazy Bird Publishing, and it’s been the best decision. Having collected my share of rejections over the years, I gave up and focused on working full-time as a medic, which takes a tremendous amount of attention and energy. A few years ago, I fell back into writing again. I’d forgotten how much I love it. I love the freedom of being self-published, but it’s a lot of hard work. You have to do a lot of research. You need to know what you’re getting into and even then there’s a sharp learning curve. 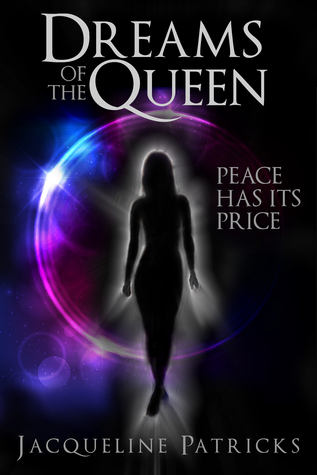 I had a bit of a false start last Nov 2012 when I first released Queen and had to relearn several things. But it’s stronger now and what I’ve learned will benefit my future books. Have you developed a specific writing style? Yes, I strive for deep POV, usually third but occasionally first person. I’ve developed a very strong voice, very active and dynamic that also varies from blunt to descriptive depending on the scene or story requirement. It’s my goal to thin the line between author and reader until it’s nearly gone. I want the reader to be the characters just like I am when I write them. What is your greatest strength as a writer? I’d like to think it’s my ability to change narrative POV and alter my ‘voice’ as needed to fit the character or scene. I’ve been told that when the POV of Queen first switches to Jeamon (the main Brajj/alien) that the narrative voice is very clear, almost shocking, which is why I started a new chapter when I first introduced Jeamon. I wanted there to be break between the aliens versus humans with the scenes and the writing. Do you have any upcoming appearances you’d like to share with us? I do, thanks! I’m currently scheduled to have a podcast interview with Write On America this month. This is my first time doing a recorded interview or a podcast, so this will be interesting. You can find them at http://writeonamerica.us and on itunes under writeonamerica. Do you have any advice for writers? I know it’s old, but write. Write a lot. Read a lot, live a lot, do interesting things, talk to interesting people, then write some more. Find a critique group or trusted friends who will tell you the truth. Grow a thick skin. Show them your work. Take writing classes. Read books on how to write. But most of all trust yourself.